This tension set bypass engagement ring will definitely turn heads with its elegant lines. It is shown with a 5mm center stone and 1.3mm accents, but other sizes can be used. If done properly, tension set bypass engagement ring designs can be just as durable as traditional settings. We do them right, so you never have to worry about losing your center stone. 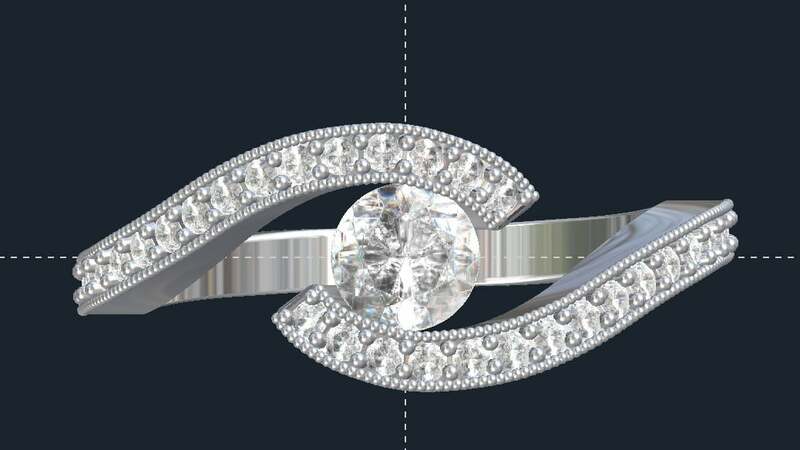 Click HERE to see another tension set engagement ring design. 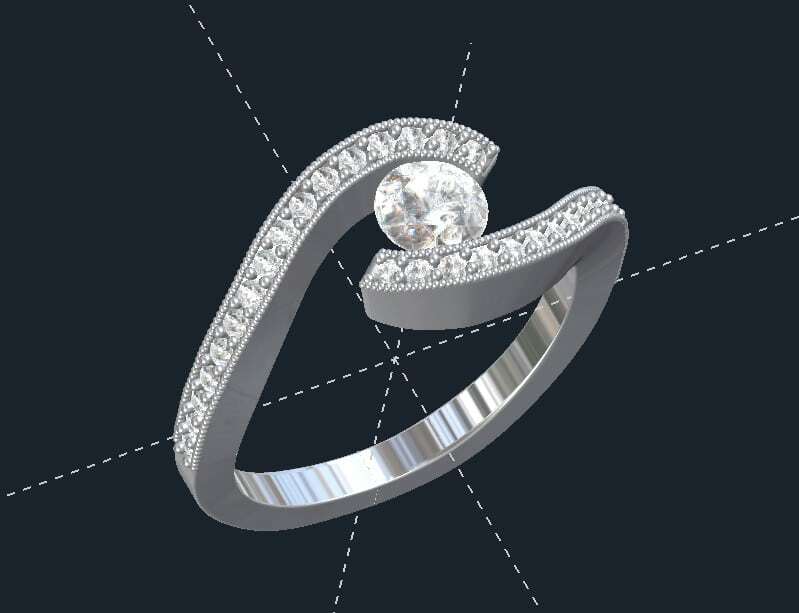 Click HERE to learn more about custom jewelry, to see our portfolio, or to contact us about a tension set bypass engagement ring. It can cost less than you think to have your very own custom engagement ring made just for you. Why hassle with the retail stores for uninspired and overpriced engagement rings?